New Save Phace Complete ADF Filter Assembly - GENX. If there is a problem, we will solve it. However we are not able to service warranties. It is also 6 degrees cooler because the rounded shape doesn’t trap your hot breath! And. we’ve also included a 9 Point HIGH quality Headgear that allows you to move the EFP closer or farther away from your face giving you maximum vision and air flow options! 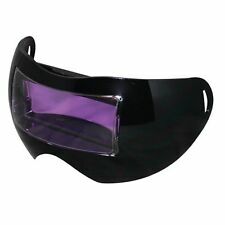 For Save Phace Sport Utlity Masks "SUM" Goggles ONLY! Each lens is treated with an anti-fog coating at the factory, so it will NOT fog up while you are driving! Lens Features Anti-Scratch and UV Coating. 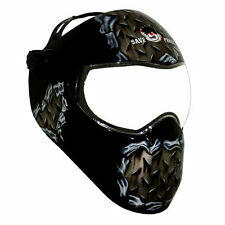 save phace paintball mask. Condition is Pre-owned. New Save Phace Simply Sick Series SUM2 Goggles Mask - Punisher. Phat Phace Protection No Matter Which Style You Choose Our SUM (Sports Utility Mask) masks were designed to fit 98% of the world's population. New Save Phace ADF Filter Repl #3/11 - Gen X. Fits the EFP 2" x 4-1/4" ADF Lens Holder. Single Shade Welding Filter. Auto Darkening Welding Filter Solar Power and Lithium Battery Backup. If there is a problem, we will solve it. 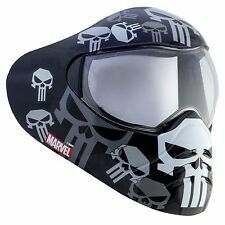 New Save Phace Simply Sick Series SUM2 Goggles Mask - Marvel Avengers. Phat Phace Protection No Matter Which Style You Choose Our SUM (Sports Utility Mask) masks were designed to fit 98% of the world's population. New Save Phace ADF Filter Repl #3/10 - Gen X. Auto Darkening Welding Filter : Fits the EFP 2" x 4-1/4" ADF Lens Holder. Single Shade Welding Filter. Solar Power and Lithium Battery Backup. If there is a problem, we will solve it. It is black. This mask is paintable for a customized look. SoftPlush R.W.I. (Replaceable, Washable, Interchangeable) Foam. Interchangeable polycarbonate lens with military grade AF AS UV coatings. New Save Phace Simply Sick Series SUM2 Goggles Mask - Spider-Man. Phat Phace Protection No Matter Which Style You Choose Our SUM (Sports Utility Mask) masks were designed to fit 98% of the world's population. Save Phace Tactical Airsoft Paintball Skeleton Mask, Red and Black. In good condition- some minor scratches but no dents or cracks. Shipped with USPS Priority Mail. New Save Phace Dope Series Goggles Mask -Warlord. This series includes RWI Foam (Replaceable, Washable, Interchangeable). Does NOT include stuff sack. Dope Series Feature Protective clear coat. However we are not able to service warranties. 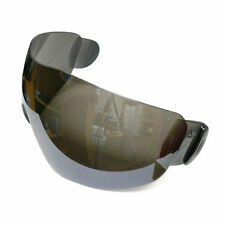 It features Auto-darkening filters (ADF) with 10 passive lens with 4/9-13 shades for better 180° vision. It is light in weight and comfortable to use with round face forming profile. New Save Phace ADF Filter Repl #4/9-13 - Gen Y. If there is a problem, we will solve it. However we are not able to service warranties. The world’s 1st and only ADF (Auto Darkening Filter) integrated into a 180° welding lens so you get the best of both world’s. And doesn’t it make sense?????. Think about it,aren’t we created to see more horizontally than vertically????. SAVE PHACE Marvel Iron Man Welding Helmet Extreme Face Protector #3012503. Shipped with USPS Priority Mail. New Save Phace Grunt Series Goggle s - Clear. If there is a problem, we will solve it. However we are not able to service warranties. Doing that is against U.S. and international laws. New Save Phace Complete ADF Filter Assembly - GENY. If there is a problem, we will solve it. However we are not able to service warranties. It is white. This mask is paintable for a customized look. SoftPlush R.W.I. (Replaceable, Washable, Interchangeable) Foam. Interchangeable polycarbonate lens with military grade AF AS UV coatings. One of the highest rated ADF's available Durable, lightweight balistic nylon construction with a 9 way adjustable halo for the ultimate in comfort Face forming profile for tight quarters access. It is a must for your collection.